Lahinch Promenade is closed to the public because of damage caused by last night’s storm and fears further flooding could be in store tonight. 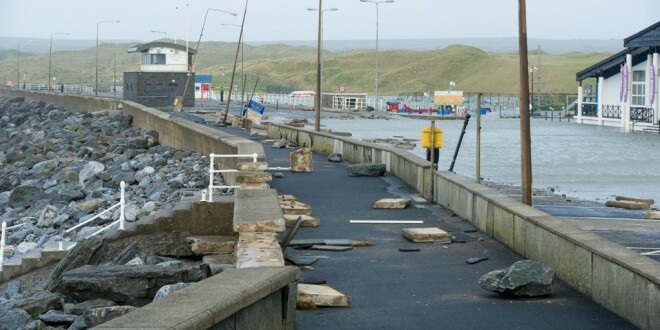 Clare County Council has confirmed that Lahinch Promenade in County Clare will remain closed to the public until further notice after the Promenade walkways and seawall were “seriously comprised” during stormy weather overnight. 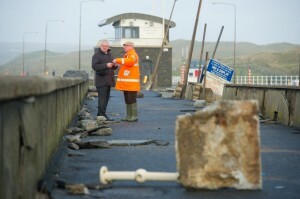 County manager Tom Coughlan and local businessman Odran O Looney view of some of the storm damage at Lahinch promenade. Photograph by John Kelly. Clare County Council says that Units of Clare Civil Defence and Clare County Fire and Rescue Service have been mobilised to deal with the incident and if required, other incidents throughout the county. 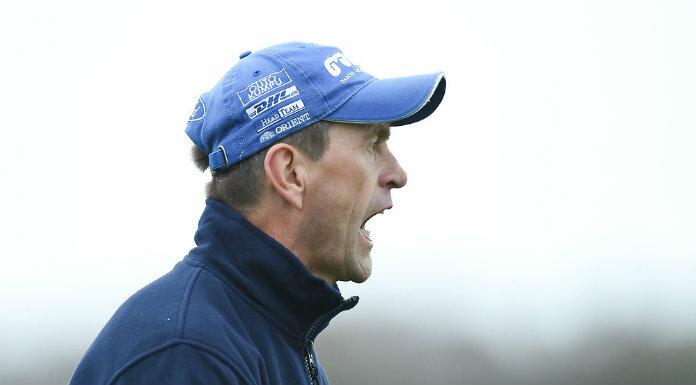 The manager of Clare County Council and the county’s senior engineer were in Lahinch this morning assessing the damage to the prom and public amenities there. Further damage has been reported in Doolin, Spanish Point and Quilty. As well as infrastructural damage to car parks, roads and footpaths, homes and businesses were also affected. One local person described the damage at Lahinch as the worst seen since the storms of the early 90s. There were also power outages in several areas along the West Clare coast as a result of the storm. Clare County Council, in conjunction with the Emergency Services, says it is progressing contingency arrangements in terms of additional pumping capacity and other flood alleviation measures at flood prone locations throughout Clare. The Council confirmed that river levels have increased significantly over the past week, and arrangements have been put in place to continuously monitor the situation. 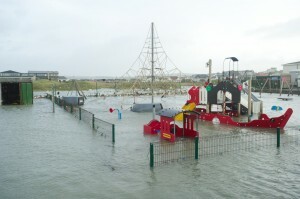 A view of some of the storm damage in the playground at Lahinch promenade. Photograph by John Kelly. 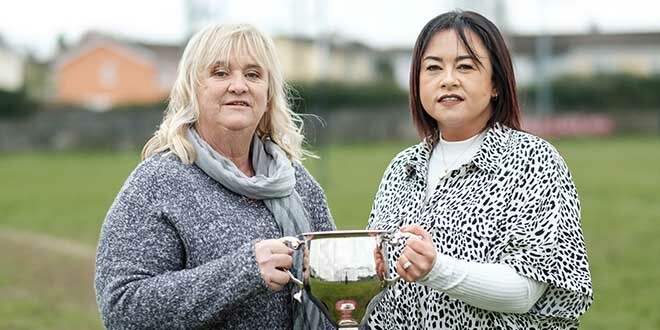 A national orange alert weather warning remains in place and Met Éireann has warned that southwesterly gale to storm force winds will continue on all Irish Coastal Waters. Flooding advice is available on www.flooding.ie. Information included on the website includes advice on identifying flooding risks, protecting property against flooding, necessary steps to be taken if a property is flooded, and assessing and repairing property damaged by flooding. 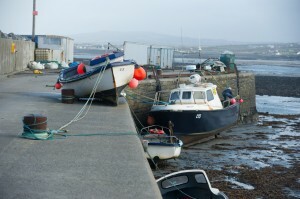 A view of a boat which was lifted up onto the pier at Seafield, Quilty during the storm. Photograph by John Kelly.